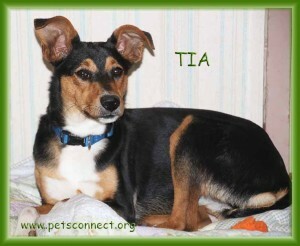 Tia is a sweet tri colored medium size pup. She is good with other dogs and has been great with children at adoption events. 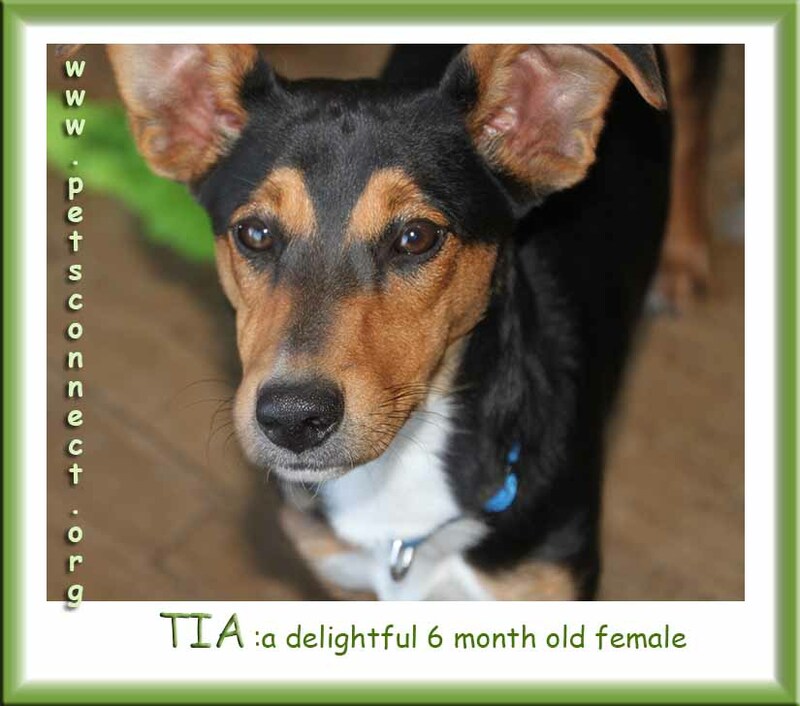 Tia has an easy to please personality and she is also lower energy making her a great candidate as a family dog. 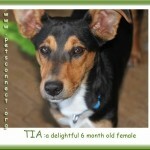 Tia was born this past April. I would guess her to be some sort of terrier mix but we are not sure. 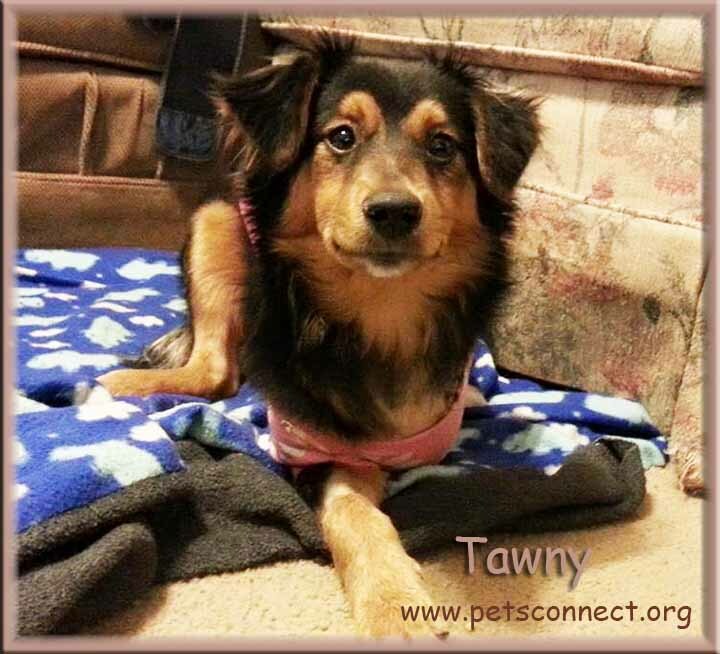 She and her sister, Tawny, were dropped off at the shelter at the same time. We were asked to take them because Tawny had been hit by a car and needed her badly damaged leg removed. This was an expensive surgery costing us $1,500.00. Tia is fine and other than being spayed and brought up to date on her vaccinations she did not require, thankfully, any extensive medical care like her sister. 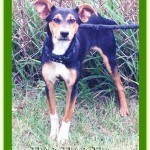 Tia and Tawny are in separate foster homes and have been for awhile. If you are interested in adopting the pair, that is fine but not necessary. 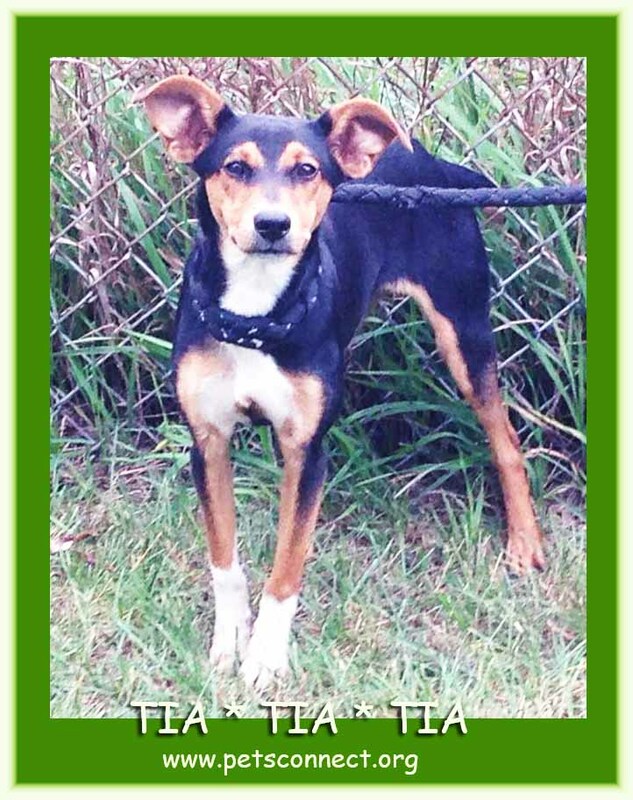 Tia would benefit from participating in a doggy obedience class with her new owners. I suspect she would love some of the doggy sports like obedience, rally, and agility. She has the potential to be a great little Pet Therapy dog too. She would also be a great family pet bring love and laughter for years to come.